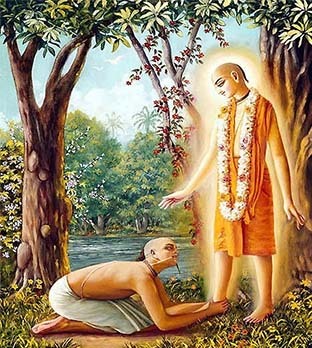 Sanyas (Renouncing) sansakara is the fifteenth sansakara of all sixteenth Sanskaras explained in Vedic scriptures and this ceremony is performed at the age of 50 while in some of the cases at the age of 60. By commencing for this ceremony, a man spiritually completes his Grahastha Dharma and enters into the Vanprastha Ashram i.e. forest hermit. Nowadays, it is not very common to take renouncing and follow all the old rules and regulations but it would be beneficial to conduct Puja and listen the chanting of mantras explained in Vedas. All the rituals and mantras explained in Vedas for particular sansakara are quite apt for channelizing an energy that creates a positive aura around you, and our learned pundits create that aura around you, without letting you follow all the hard rules of Sanyas sansakara. Our gurukual trained pundits conduct pujas for you by following all the vedic rituals and in case, you wish to know about this, then you may feel free to call us. Telephonic consultancy services offered by Puja Yagya are fully free and you can call us anytime for knowing about the details of all the procedures and rituals related to conduction of Puja for your renouncing. Conducting puja as per your convenience in an accommodating manner is USP of our Pundits and they understand all your specific requirements before conducting Puja for you. Puja for sanyas helps you in getting an absolutely positive and sanctimonious around you, which helps you in leading a blissful pious life after passing a certain age.